While a number of the club's internationals were away with their various national teams, Maxwel Cornet, a substitute for France U21 vs Macedonia was out on the pitch. 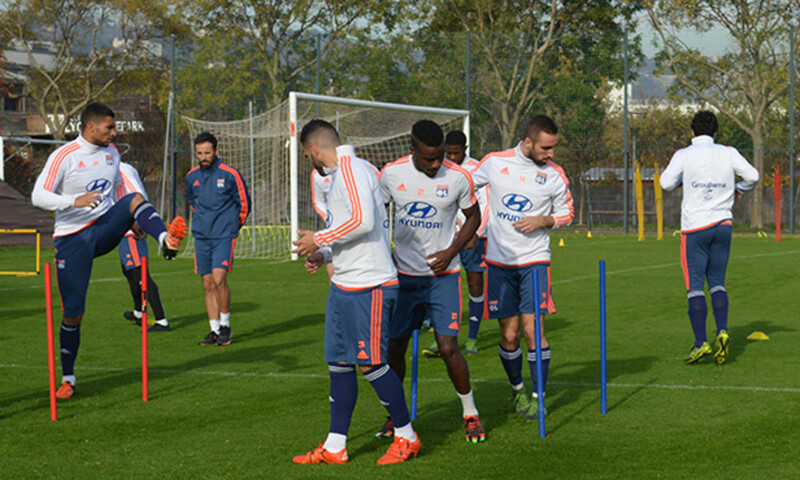 Samuel Umtiti ran with a fitness coach and Clément Grenier worked on fitness with, and without, the ball. After the warm-up, the rest of the squad, including Maxime Gonalons, back after his sciatic nerve problem, worked on 1v1 and 2v2 on a small pitch with two goalkeepers. Then the entire squad played a small-sided game.